Our whole beans are expertly picked and sourced from countries all over the world. We roast on site twice weekly to provide the best possible product for our customers. We utilize the whole spectrum of roast profiles, from light to dark, to offer a variety of cups that suit different and unique people. We have numerous Blends and the largest selection of Single Origins in the area. While we have become more transparent with whole bean coffee, It is also important to us that you know where our milk comes from, what’s in it (or not), and how it’s processed. Kilgus Farmstead is a family owned and operated small business just like us, located within 50 miles of The Blend! Our milk is organic, hormone free, from pasture grazed cows, and is minimally processed. The milk is non-homogenized, meaning the cream rises to the top naturally. This milk tastes better, which makes our drinks taste better! We have a section of our menu dedicated to signature drinks which are crafted in house by our Creative Director Noah Libotte. These unique and complex drinks and made using only fresh ingredients. Our customer favorites are Lavender & Honey, Anise & Maple, and Lemon Thyme. These alternatives to the usual aren’t found anywhere else. We love our cold brew coffee. 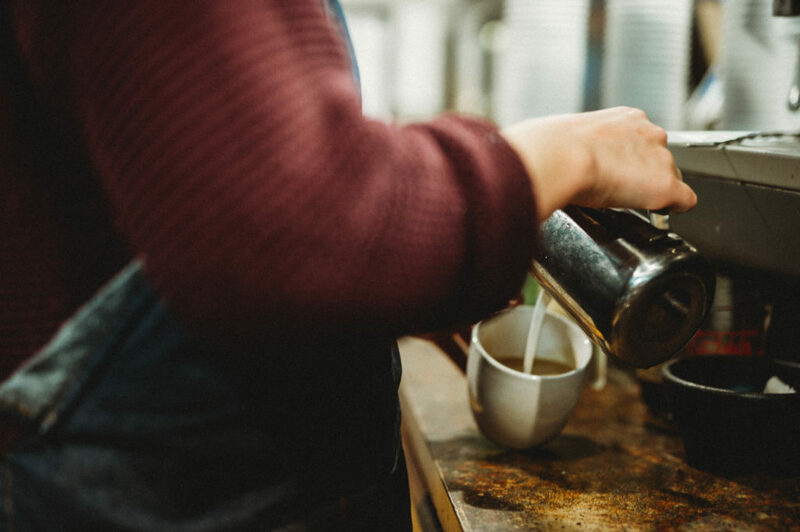 We meticulously brew each batch using a commercial Toddy system for 24 hours. The dual tap at our Café delivers both fresh standard cold brew as well as the highly sought after nitro infused cold brew, which you can find in the warmer months. Our space was built with great purpose and care. Using colors and texture, we have drawn from our passions. We feature plants, stone, all handmade artwork, and other organic materials, as well as reclaimed wood from the floor of a home wiped out in the 2013 tornado that struck our city. This space is from our hearts to our community. Without our very special community, we would be nothing. It’s why we do what we do. We care as much about our people as we do our product. 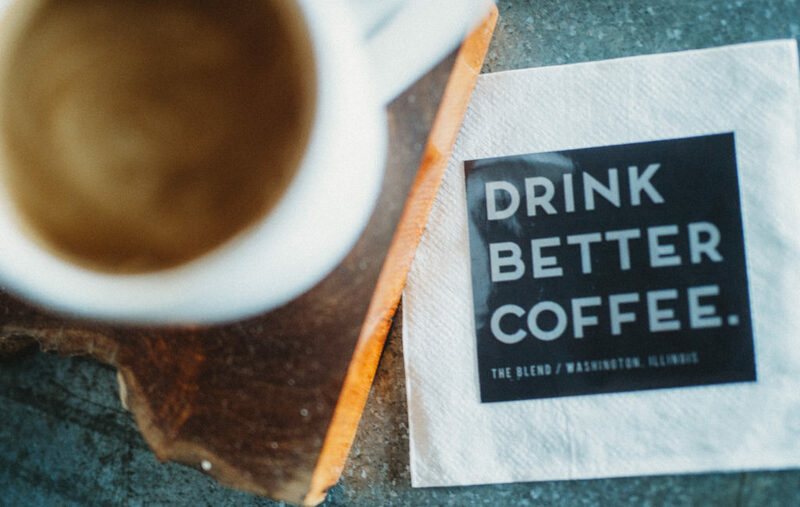 Everything we do is run through our motto, “Where coffee and community come together.” We count ourselves fortunate to be a part of our local coffee community, as well as the greater Peoria area and beyond.